You probably already get oil changes and rotate your tires on a routine basis. A multi-point vehicle inspection is something completely different however. Our Hyundai multi-point inspections include a thorough check of fluid levels, brakes, windshield wipers and many other elements. Stay on top of any needed maintenance and avoid costly repairs with Downey Hyundai's professional multi-point inspection service. 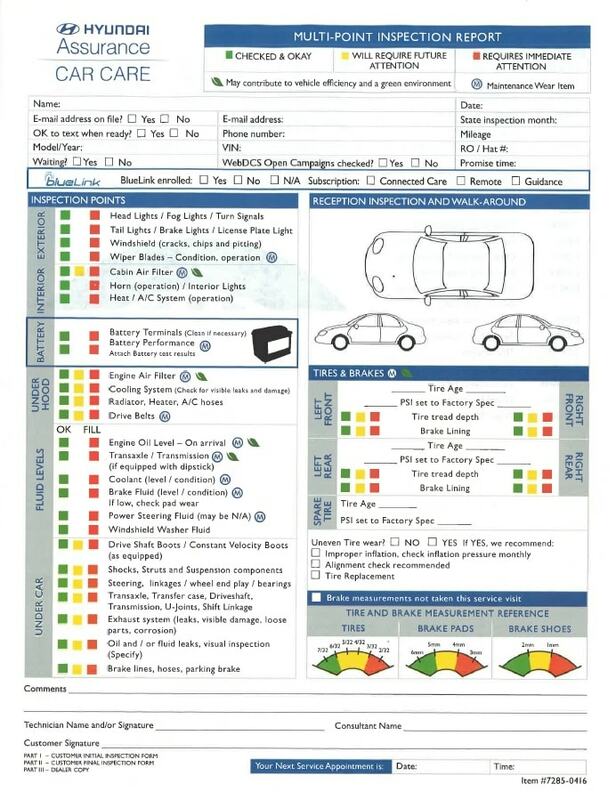 What Does A Multi-Point Vehicle Inspection Include? The safety of everyone who comes into our service center is our top priority. We aim to make sure every car leaves in better condition than it came in, to get you from point A to point B as safely as possible. Our certified technicians work hard to accurately and efficiently diagnose each vehicle to make sure it is running optimally for miles to come. If we catch something that is in need of repair or maintenance sooner than expected, we can repair it fast by using the highest quality parts made for your vehicle.